← Think Tanks, Politics and Influential Convergences…. Since October 2012 we’ve noticed the reoccurring question of whether or not Secretary Hillary Clinton had a stroke. You might remember the evolving media reports at the end of October, beginning of November 2012. First Secretary Clinton had a cold, that version later became a flu, that version later became a slip and fall, that version became a “concussion”, and that version finally evolved into “blood clots”, etc. That series of medical conditions was followed by numerous reports a year later, during her book tour, that people were noting her difficulty with her eyesight, using her right arm, and seeming to tremble or be unstable when standing. 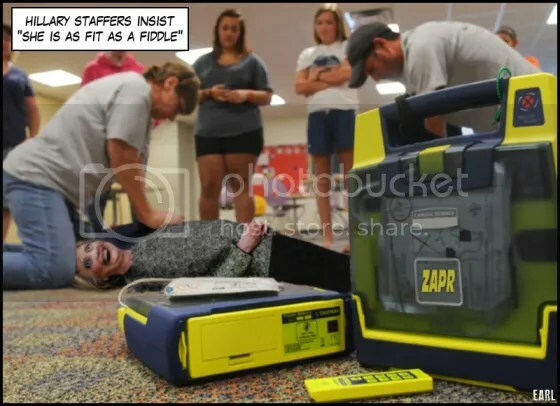 Many people wondered if the 2012 medical incident was actually “a stroke”. The topic appeared and disappeared several times as specific incidents surfaced that seemed to indicate Hillary Clinton was struggling with some health issues. The curiosity was fueled in 2015 by the Clinton campaign announcing they would not release Clinton’s medical records. Then there is the mysterious growth several people noted on her tongue, the coughing, the speech pattern issue. –Previously Discussed Here– And what appears to be a biopsy of some kind to remove the growth. Several people began to look into who this rather large black male figure might possibly be. He does not fit the customary physical profile, attributes required, for an ordinary Secret Service agent. However, it is possible he could be personal security, or individually specialized and medically trained, to work within the security agency. One person (via twitter), following the possible Doctor angle, has discovered a medical doctor who does seem to fit the description, and while somewhat younger and thinner in the profile picture, does also match the visual physical appearance (link). However, I would caution people not to mix up two very different people within the Clinton team who do hold strong physical resemblances. There is at least one large black male customary secret service agent, in addition to the possible medical assistant (or medically trained agent), and –at least from behind– they can be confused. It should also be noted that it’s not unique for specialized and medically trained Secret Service agents to be assigned to details with people who might need medical attention. There have been multiple instances where high profile political figures have also had medical issues (Bill Clinton -Heart Bypass Surgery- is one recent example). Just because a uniquely medically trained person is assigned to Hillary Clinton, doesn’t mean much more than her unique health condition is simply an additional factor to be considered along with the host of other factors. But Hillary Clinton sure does appear sickly at times (as above). And she doesn’t do half as much campaigning as Bernie Sanders did, or Donald Trump does. Maybe that’s why people who interact with her say: she’s always grouchy. This entry was posted in Clinton(s), Conspiracy ?, Desperately Seeking Hillary, Election 2016, media bias, Notorious Liars. Bookmark the permalink. Doesn’t look like the same guy at all. I agree. And it doesn’t even look like a different picture of supposedly the same person! Donald should start wearing Moire pattern designed ties. The shifting images might trigger a seizure when she looks at his speeches. And definitely for the debate. And get a ventriloquist to teach him how to throw his voice from various locations, simultaneously. In the 15-second video taken at the end of the convention, the mystery doctor can be seen fro about 10 seconds in with what could be one of those medical stick pens. He seems to be with her like a glove as best he can. In the outdoor scene in the middle of the crowd, he is once again watching her very closely. She looks distressed in that photo. I don’t know anything about SS protocol, but found it interesting he, seemingly alone, gave the signal to agents, he had this covered and they could leave the stage. And they did. Is there more to the head injury brain clot that Obama and Hillary aren’t talking about. The voice is Brian Suits. He has good mil connections. He was regular army. Does radio in LA. Has podcasts with this sort of stuff. He never says his info is authentic, but he always has it sourced and it always makes good sense. And there’s that phrase again, “apparent suicide” – always suspicious when used in connection with Hillary. That is a more natural image of Hills. I cannot imagine any makeup that can cover up that age other than what Hollywood special effects masters use (a latex base?) to make an actor appear DECADES younger. 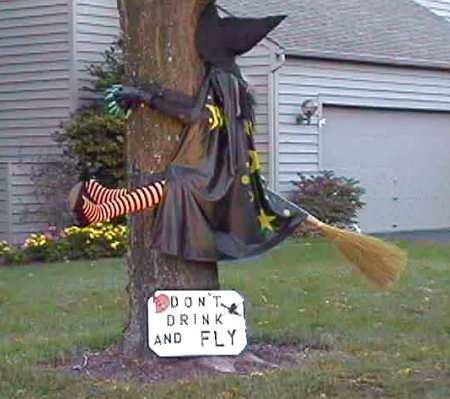 OK, I found a picture of her crash landing, much worse than I imagined. Thank you for a good laugh, I am extremely worried about the forces against Trump. I truly believe he is the right man at the right time. HiLlARy has shown that she will do any thing, stop at nothing to get her way. This is yet another chose this day moment for America. Trump appears to be very good, a GOD fearing man and he does not wear it on his cuff. The piap by contrast is the most vile evil conniving person we have seen in decades who is not headed to death row. Entire military high command is corrupted. Very sad about this Commander Price. Too many sudden deaths that make no sense. Only conclusion is the Clintons are an organized crime family of the same type as Mafia. And Obama is from Chicago. Botox Cosmetic (onabotulinumtoxinA) is an injectable neuro-toxin used for reducing frown lines in adults 65 years of age or younger. Side effects of Botox Cosmetic include allergic reactions, rash, itching, headache, neck or back pain, difficulty swallowing, shortness of breath, nausea, diarrhea, stomach pain, loss of appetite, muscle weakness where the medicine was injected, injection site reactions (bruising, bleeding, pain, redness, swelling, or tenderness), muscle stiffness, fever, cough, sore throat, runny nose, flu symptoms, dizziness, drowsiness, tired feeling, dry mouth, dry eyes, ringing in your ears, increased sweating in areas other than the underarms, itchy or watery eyes, increased sensitivity to lights, or eyelid swelling or bruising. Walks like a very healthy man of his age. Let’s see Hillary manage a similar feat. The guy with Worthless Willie is the same guy you have circled and labeled Secret Service. It does not look like the guy who might be a medical handler. The Medic is a lot heavier. They are both in that picture. One is facing him, and the handler is beside him. 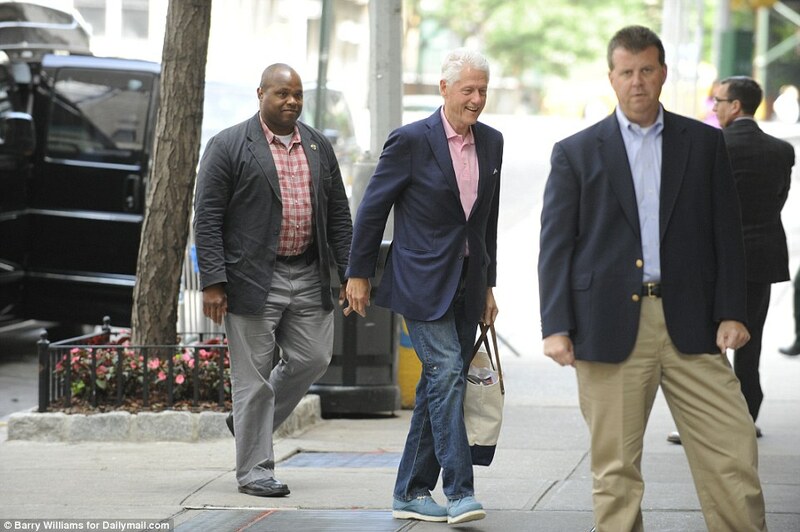 Looks like the guy in the grey jacket to Slick Willie’s left is the medical aide. The man in the suit with the earpiece in the same photo is probably the guy labeled Secret Service. Looks like the medic needs to go on a diet. She can wait in the lobby for 5 days. Then kill herself. If Hillary’s medical report, leaked to Twitter, is real and accurate, Hillary’s a lot sicker than we’re being told. She should drop out of the race now before she drops on the stage before her medic catches her. Epileptic seizures would fit the blanking out and falling symptoms. Stress and anxiety are known causes. But since epilepsy is often successfully treated with medication, the cause(s) of her seizures may be due to some other medical condition(s) entirely. Those aren’t epileptic seizures. Neither petit nor grand mal. But they are brain “storm”, short circuits. Epilepsy produces an aura the patient can sense. She would be able to signal for help. This hits her in response to certain stimuli. Definitely visual stimuli is triggering some of it. Root cause? Ben Carson is the one to ask. In the episode where Hillary’s head thrashes back and forth, it’s possible it’s the cell phones being held close to her face. There are lots of reports online from epileptics who have discerned electronic devices can be a trigger. I had Grand Mal epilepsy for 20 + years. Occurred about six times a year. Electricity overload in brain. That ‘aura’ you speak of, I know about it. With the Grand Mal, one has no time to indicate it is in trouble. Five seconds and it’s the end, the lights go out. With Petit Mal, you have time. You feel it slowly invade the base of the cranium, like a boiling sensation, and creep upward. You have about one full minute to find a place to lie down and let it pass (which takes about two hours). Re Stimuli: could be flashing lights of the strobe type. I avoid strobe lights and any fast cascading images such as rapid T.V. channel surfing which could trigger a Petit Mal. Not all seizures can be stopped. Psych seizures is what it looked like she had when she “froze” and could not complete a sentence. These are random and caused by stress and other conditions. Hillary has health problems and it is clear she is hiding them from the public and the MSM is helping. This indicates a woman not able to serve. Here’s the video from which the pics of Hillary in the green pantsuit were taken. She was at the New York gay pride parade held on June 27 this year. She looks frail, does her inappropriate laughing and head bobbing, and can barely walk at the end. There is no doubt that Hillary has serious medical issues and is unfit to be President. She is unfit to be President and has serious medical issues. She lacks morals, ethics and love of America. And she’s quite debilitated by 68 years of being a sworn agent of Satan. I think the Karma of Colonel Gaddafi has reached from the grave and gripped her. Hillary is as expendable as any of the rest of us. Someone/someones want her dead and they are pushing her to her limits. It’s the ol never let a crisis (her poor health) go to waste. Unfortunately for her, her ego won’t let her stop, and they know it. So the question is, why would they want her dead? The sympathy vote would be huge. As important, who do “they” have lined up to take her place? Permit me to speculate; is it Michelle Obama lined up to take her place? Plus another coughing fit at the end of the video. The link to NY times that touted her surprise visit to the parade said she marched for 4 blocks. I guess that really wore her out. Huma looked concerned. Probably thinking, who’s stupid idea was this? See how handlers are forcing away the crowd and reporters from Hillary. They’re instructed to do so because the multiple voices speaking to her sets her off into these seizures/fits/etc. Just like a few months back they cordoned off the press from Hillary with a physical rope. Fact is, Hillary can’t handle a throng of reporters in her face or a rowdy unscripted press pool. She’s unfit to serve. Even a young and fit person would be unnerved in that throng. What a mess! Hillary shouldn’t be walking in those crowds. It’s too much. Young people can handle it, but older folks cannot. Bad decision for her to do that. The incident where Hillary froze at the rally with the protesters is scary because her public persona is completely gone. You can see it in the video as well as in the photo above. She looks vulnerable and fearful and stripped of all pretense, and she is doing some kind of lip-licking motion very slowly. She seems to have a child-like level of fear and lack of awareness, and she looks as if she needs help. And clearly she does because the man steps in, touches her, and tells her to keep talking. For her to be unable to handle a few protesters, with all the experience she has and with her ability to project a persona of strength and control, is so out of character that it’s alarming. Our country can’t afford to have someone subject to this kind of illness as our leader. Her handlers would be making decisions, the White House would be in chaos, and we would be endlessly lied to by the administration and the press. She would be vulnerable to the worst kinds of influences and even to blackmail. No. Way. I just pray that she won’t be taken out of the race in time for the Dems to run a viable substitute. I repeat what I think: Obama will be staying in Washington D.C. This would be his third term. Here’s a gallery of photos from the June 26 Pride parade. He wears a little lapel “badge” (or whatever) similar to another “suit” on HRC’s other side. Between her in that Mao outfit, and Cuomo in his Karate kid get-up, they look ridiculous in a city march. Sandra Lee the chef there too with her boyfriend Cuomo. She’s looking old too. Gotta love Getty Images, though. If you siroll through toward the end you get some good Hillary for prison signs. Sandra Lee had a desperate childhood and made something of herself despite the abuse, neglect and crushing poverty. Now she’s a buffoon. And barely a cook, certainly not a chef. More of an assembler. I’m not so sure this is our guy. Look at this photo and notice the coloration on the center of the forehead. It sure looks like a zabiba. The bigger it is, the more pious the individual is and the more he is respected in Oumma (Muslim community). It’s the area on the top of head where pressure is applied while praying with head on the ground. This guy could be one serious devout Muslim. Look at the gaps in her upcoming schedule where she is going days with no fund raising or rallies. Why is the press forbidden from photographing her boarding her private jet? When she holds a rally, how long does she stay up? Does healthy tie in with her refusal to hold a press conference? Don’t want any pictures like the one from Drudge today to get taken. Follow guidelines with statements of fact. Back them up with citations, or you are defined as holding ulterior motive. Sorry for raising questions, had no idea I had to provide links before asking a question. There are numerous links in regards to her forbidding photographing her boarding or disembarking on her private Jet. There are dozens of links. In regards to her rallies, it is a legitimate question to ask as to how long she is able to stand. I had no idea it is considered trolling. That said, it’s your blog and your rules and you want to run your site a certain way as to encourage a certain kind of readership(not BB’s rough house set). I’m cool with that. I also realize my style of posting clashes with your rules and enforcers and I will take leave of your site. rodney, no harm, no foul. But for example, if you’ve been to Beastie’s website, and you have her schedule, copy that link and post it here. Makes it faster for Sd, or anyone who is looking at the overall threads. It’s amazing sometimes how just one little piece of info, properly linked, can really add to a fast-moving story. Strangely, schedule is not on her website. It took me a few Google attempts to find her schedule. I wonder how people find out she will be doing a rally in a certain area. It also explains why she prefers smaller gatherings/events since they are easier to organize. There are several thousand comments here every day. Would you have time to research every statement of fact? Sundance and the rest of the staff are busy researching articles, looking in to allegations, and finding the story the press is burying. If you have that kind of time, shoot Sundance or one of the other folks an email, then pitch in and help. InfoWorld can do better than a Pharmaceutical executive to give an opinion on Hillary’s health. How about a Movement Disorder specialist (a neurologist with further specialization in movement disorders)? Hillary’s episodes are not classic Parkinson’s symptoms. LID – levadopa-induced dyskinesia – are abnormal, uncontrolled movements brought on by PD medication. Ironic, that the meds you take to say, stop a Parkinson’s tremor, has a side effect of abnormal, uncontrollable movements. But these movements do not suddenly start and stop, like turning a light switch on and off, and they last much longer than 10 seconds. They do not involve any kind of “spacing out” at all, it’s only movement. You feel very antsy, and you’re fidgety – to the extreme. It involves the entire body, not a bobbing of the head. I know what dyskinesia is. I go through it everyday. This ain’t it. Sorry – meant infowars, not InfoWorld. It could be ET, i.e. essential tremor. It is frequently misdiagnosed as Parkinson’s, however it isn’t deadly. My grandfather had it, I have a minor case of it, a friend has a major case of it. Mine started when I was about Hillary’s age. Some people have mentioned MS. My father had a bad case of MS and died at 51 of a heart attack. This was back in the 1970s and there were little that could be done then to treat the complications of MS then. But even today a women in her late 60s like Hillary would be in terrlble condition with MS and would not likely thru her first term as President. If she had MS things would be worse, so I doubt it is MS.
Also if she had MS she would have speech problems. Well, that makes it easy. Secret Service has their own Field Medics. “Dr Toe Tag” that’s funny. That means medic until someone from Medi-Flight could come for them. Yes, this. And that essentially disappeared from it’s publication within 48 hours. I have copies from that time. You can now probably find them on the wayback. I’ll add: It has been mentioned recently (Iran payoff) that Hilldabeast was in the middle of those early negotiations. Me too! LOL! And those injector pens are designed to puncture layer of clothing. The troop medics have them with morphine in their kits. Sd, we were joking about having someone follow us around with a valium pen to get us through this election cycle. Here is the only credible line in this WaPo article, in an effort to spin Hillary’s health issues. And we know the emails already outed them for being under the directive of HRC camp. But as to the agent #1 in freeze video, his name anyway. idk if it’s his real title, because this writer has so much false info in this piece. Lol she did a lot more then narrow her eyes!! At the very least, She froze up, & couldn’t focus Visually or mentally. Another discrepancy- he claims the stair pic was from Feb in SC. He gives some lame reasoning. I know she wore that jacket very recently, and there were jokes made at the time. I’ll try to find the article. I see SD has also posted her in it in on recent video. May be the same dates. I’d say the only thing this article proves- the HRC camp is wigging out because the truth getting out there! The stairway incident occurred Feb 24,2016 at “SC Strong”, a facility for felons, homeless, etc. The Getty portfolio is in reasonable chronological order. (One can change the desired date range by altering the address box in your browser). Here’s a pretty broad collection ranging about 3 weeks. I interpret the black man as being security who has certain shifts, because he is absent in many of the photos. One probably could track his days on by comparing the photos to known public appearances. However more research is needed to form a better informed opinion. 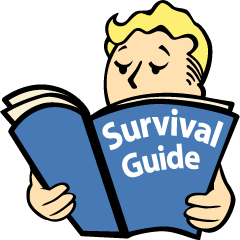 I recommend bookmarking the above link to serve as a starting point for future research. It provides access to images that never get published in actual news stories. Many are not very flattering. I’ve gone through the photos at the Getty Image site and noticed the agent was not visible in the earlier photos. We know that the agent has been with Bill for years based on the photos we have found of the two of them together. We also know he is an agent by the fact he is armed in the photo SD has added to the article. The agent has just started to appear with Hillary in the recent past. Also, in some of the photos the agent is not attired in normal SS style. I wonder if it is possible that the agent has been called back to duty when Hillary is having “issues.” I was frequently “on call” and when contacted and instructed to report for duty, I went as I was. This may explain why the agent is dress for the job in some photos and others he is under dressed for the job. He came as he was. In fact, in one photo he is wearing a wrinkled jacket that looks like he may have left in the trunk so to have to cover his equipment if needed. Another thought about when the agents went up on the stage and “our guy” directed them off, rubbed Hillary’s back and told her to go with her speech. This incident was not a threat situation and the agents went up onto the stage to see why Hillary was acting odd, so it would make sense for their “medic” to take over the situation as he is trained for medical emergencies. Watching some of these episodes, as a physician, it really looks like Clinton is perhaps having petit mal seizures. Agree. I had partial complex petit mal seizures from age 2 til 38, when the Focus was surgically removed. The aura, then the “Zoning out” lasts for seconds, but leaves one disoriented until the moment is broken by a stimulus, as in the guy rubbing her back. She made a pretty quick rebound. At :08 her eyes are glassy and at :09 the Doc is there and has already assessed. He tells her “you’re ok, keep talking, we don’t need to go” “keep talking” and she picks up <we’ll keep talking>. Her throat seems to be stabilized for now. But the vascular/neuro episodes are increasing in frequency … to the point where, despite meds and precautionary steps, the occurrences have moved beyond the public management zone. I doubt she can make it to the election. I have the habit watching videos of Hillary without the sound because for me body language and facial expressions do tell the story. Her facial expression often do not match her words and are superficial when she tries to smile in the attempt to appear ‘friendly’. She is not – she is filled with rage as told by her eyes. She lies too often as her eyes shift endlessly while she blinks. There is no question that she has serious health issues and I do not believe that she will make it through this election as stress affects her more than others. Comparing the energy of DT and his many activities/rallies who is much older than Hillary – no comparison. The most troubling pics are the one where she needs help getting up the stairs, her short circuit facial expression during her DNC convention and the uncontrollable bobbing of her head during the reporters questions directed at her. I am convinced that Hillary crashes daily after her required appearances. Be as it may – whatever her health condition – the rapid ‘fix’ won’t work as time goes on. There is only so much that fix can do before it all comes crashing down. The national Enquirer is a joke to many but I remember an article years ago – long before her entry into presidential run – but during her absence where she could not testify during the Benghazi investigation by Trey Gowdy when an article appeared in the Nat’l Enquirer involving her personal physician who assed her health and discouraged her from her planned campaign for president. She was advised that he would not be able to survive the stress due to her serious health issues which her physician considered life threatening. I will try to find that article because it confirms what we are seeing now. It is actually quite sad that she is so obsessed to be the first female president that she sacrifices her health to get there. This man is not a SS agent. He wears an ID badge. No SS agent does that. All SS agents are trained in how to stop or severely limit loss of blood from a stab or GSW, but they are not trained to deal with seizures, or other medical issues. Bottom line – this guy is NOT a Secret Service agent. That explains why the SS guys who came up on stage to hustle Hillary away from those hecklers looked like lost deer themselves – they were taking directions from someone NOT in SS who was giving them anyway – stepping right in the middle of all those carefully-rehearsed SS evac. drills they practice constantly. In other words, taking over a SS detail, which he does not – or should not – have the authority to do. And, that is absolutely correct, on PSOs SS agents do NOT wear badges. 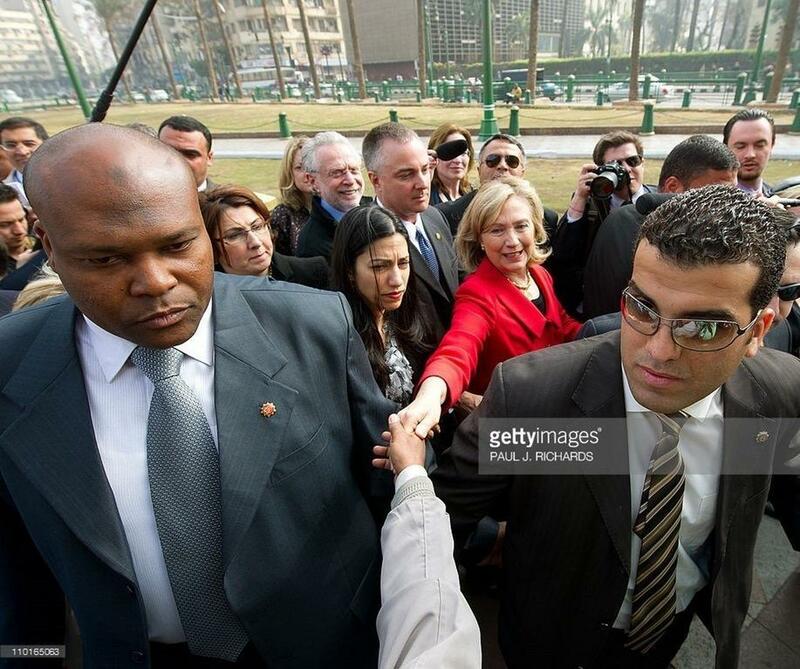 Re: Hillary in this shot with the med. man next to her, on stage – look at her facial muscles, they look like they’re drawn tight, look at the hollows next to her nose and mouth – you never otherwise see them there – the skin around her eyes looks like it’s drawn tight, also – like some sort of slight electric current is being passed through these muscles, or others connected with them, that would cause her facial muscles to draw tight. I wonder if this is an unintended effect of that electrical shock to the brain that she is rumored to be getting due to the apparatus she is supposed to be wearing on her back. If you look at the photo of Hillary being helped up the stairs at her ‘fundraiser’ the guy on her left holding her left arm is this same guy as well. Is it possible that he is a “personal” body guard on top of SS? Remember Trump had some tuff-guys with him. Particularly the guy who ripped up the protester’s sign… LOL. There is software capable of looking through the internet for pictures with an individual’s face in it. Has it been used to figure out who this guy is? Whoa. The use of the C word is crude. The “eradication” of people with fire is what barbaric Jihadis do and this level of vitriol is not thoughtful nor reasonable. The photo above with Bill taking a selfie shows the guy with a gun on his hip. No way in hell a doctor is going to be strapped in the presence of a USSS Presidential protective detail. Only USSS can carry firearms in and around Presidents, ergo the guy is an agent with the Secret Service. On second thought, that is the USSS agent that was already pointed out, disregard my previous post. The ‘doctor’ ‘handler and/or security guy is probably a private hire. That’s not a holster. I know, I wore them for 23 years. So, has anyone else noticed the trick with the pen light/laser pointer? Our mysterious handler uses it here. Watch, when the flag falls, he approaches quickly, urgently…pen light out, her head is moving, like shes looking for it, small point of light appears on the wall, she sees it, nods, and follows it. Or, I’m completely round the bend. I showed my husband tho, and it took him like, 2 views, then he was totally creeped out. During the balloon drop? YES. And Yes you did that correctly. I saw it right away – also a visual cue to direct her to her next destination? Howie posted this new link and Gif about it….the laser method was developed at Mayo. I don’t see anything like that. Many of us have seen it. It’s obvious once you do see it. The light goes across the black backdrop and then to the exit. Meanwhile you can watch it again and see the man pointing the light towards the backdrop and the screen. You can also observe Hillary’s head turn in response to the moving light and then obediently exit to the point where the light is last shone. Looked to me, just as the clip was ending, he was directing that pointer down that darkened passageway – like it was the next place she was supposed to go. In other words, she’s so rickety upstairs she now is completely overwhelmed by people speaking all at once, bright lights, movement, etc she has to have visual cues to determine which way is UP? That was not a pen light and what you saw was confetti dropping and the contrast reflecting, what looked to be, on the wall. What her handler/Dr. has is hand is an auto injector, look at where he is ready to give it to her. This is a diazepam injector used to stop seizure activity. Look how Uma Aberdiem (sp?) so inconspicuously gives him a wave off with her hand when Clinton seems to recover from a brief state of daze. Notice how she inconspicuously gets his attention though when she feels Clinton might need his assistance. We used a laser light after son had a stroke for gait. Her abnormal startle response is a big red flag for absence seizures, and her mouth is crooked in some pics & videos as well. This was sent to me on Twitter. It’s the full image of the photo that was circulating – agent/medic with some device in his hand. I originally thought it was from the day she “freezes up on stage” (video) — both surfaced around the same time, & “agent’s” wearing same suit & polka-dot tie. But this photo indicates it was taken on the night of her convention speech (HRC outfit). Not sure if it’s a injection pen, pointer ^(used in neuro-related treatment), a mic, or something else. I also tried zooming in on badge ^(S.S. Said not to wear), but it’s too blurry to read. Yes, this picture is from the night of her acceptance speech at the DNC, July 28th. She froze up on stage during a speech in Las Vegas, on August 4th. If what he’s holding in his hand is a laser pointer of some sort, it makes sense that he would keep it out, although close to his body, to “light the way” when necessary. So why is she running for President? Her ego must be larger than her health issues, or Bill will be the one running the Country while Hillary is credited with it. If she forgets what she is saying, how will that go down when she has meetings with foreign leaders? That guy going to inject her in front of them? Certain foreign leaders are already laughing at us and know they can get the advantage over us! MEDIA SAYS ONLY ONE BACKSTAGE BATHROOM FOR WOMEN AND 2-MINUTES AWAY? From what I read, this Dec 2015 Democratic debate was held at the Dana Center for the Humanities – St. Anselm College. The Dana Center have been and are Experts in Presidential Debates. The Dana Center hosts very large performances on a regular basis. They can host large dance teams, orchestras and theater groups and appear to have dedicated facilities for a large number backstage participants. I don’t see how a place like the Dana Center can have the closest Women’s bathroom 2-minutes away and host large theater performances on a regular basis. Let’s say this was just a 5-minute bathroom break, I have a really hard time believing this was (A) the only women’s bathroom available for backstage performances when it regularly hosts dance teams and theater performances, (B) this same bathroom was 2-minutes away from the debate stage, and (C) there was line of women waiting to use the only bathroom available. For the media (or the Clinton staff) to report and imply this presidential debate was at some backwater broken-down gymnasium with no women’s bathrooms inside, and where the closest women’s bathroom was 1 minute, 45-seconds away, appears to be totally false. 7 – LEAGUE OF WOMEN VOTERS CHOSE SAINT ANSELM COLLEGE – Past Debates – Saint Anselm College’s history of hosting debates goes back to the 1980s. In 1984, the League of Women Voters chose the Dana Center for the Humanities as the venue for its New Hampshire Presidential Primary debate not only for its adequate seating, proper lighting and sound and protection for the candidates, but also because Saint Anselm welcomed the debate with classic Benedictine hospitality. As the third Democratic debate faded to a five-minute commercial break, Hillary Clinton had exactly one minute and 45 seconds to walk out of the gymnasium at St. Anselm College to the ladies’ restroom and one minute and 45 seconds to return to her place on stage. You may want to take you own advice, that picture you imposed onto the letter is Not that of Dr. Oladotun A Okunola ..just saying, it’s easy enough to determine this so why play games? There’s enough lying and criminal beahior by Clinton, you don’t need to fabricate stories to ruin your own reputation. The woman is obviously suffering from Psuedopulbar palsy. Comment on the video where she’s told to “just keep talking” (https://www.youtube.com/watch?v=NXdkiaZvTVQ). Watch how quickly the handler jumps into intervene and reassure. At what point would you realise something is wrong? Sure, there is a disturbance, but that shouldn’t be a cause for alarm. To me (and only only because I’m looking for something), the first sign is when she stops talking and jerks her head right – not sharply, but she looks and starts to freeze. Within 2 seconds, he’s there, and knows just what to say. Very impressive recognition of a small warning sign – he obviously knows what to look for, and reacts very quickly indeed. But it means that there is some known medical, probably neurological, condition that they are monitoring very closely, and which responds to reassurance. And the political cost of the inevitable scrutiny has been judged to be worth more than the consequences of non-intervention, i.e. she wouldn’t have “snapped out of it” in a hurry. Shes sick mentally and Physically. AND Treason charges for Obie. But when will pot be legal? These are the hard questions we need to be asking.